As you are walking the streets of Forbes in central western NSW, one of the last things you expect to see is a giant lizard emerging from the wall in front of you. The newly installed 3D mural is a Wiradjuri-inspired Goanna bursting out of its prehistoric landscape into the quiet country street. 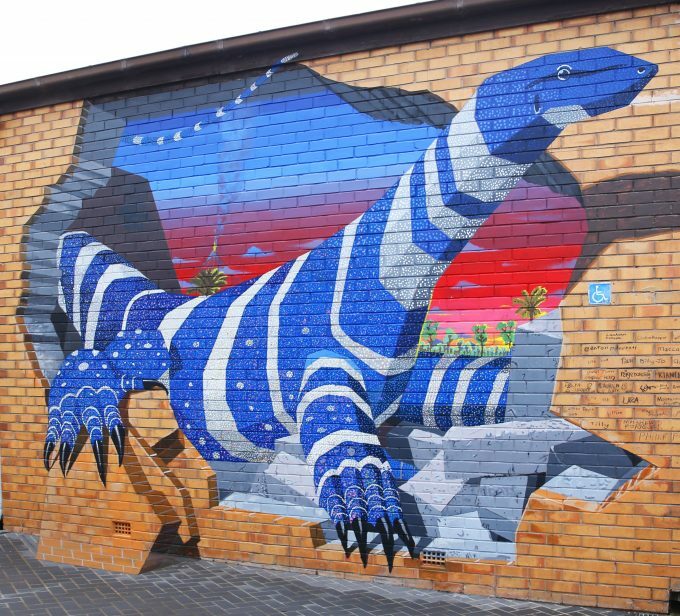 Created by Zest Artist Anton Pulvirenti with the assistance of a group of local youth, the project is a part of Forbes Shire Council’s proactive school holiday program. 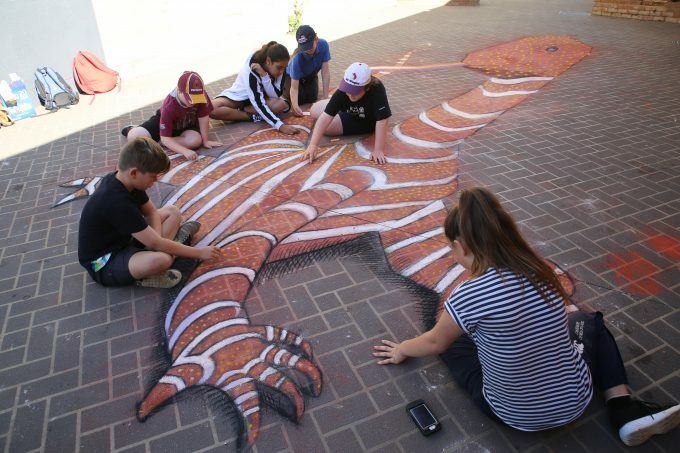 Council’s Youth Development Team invited Anton to engage http://pharmacy-no-rx.net/celexa_generic.html with the teens to create this fabulous public artwork, and to share some of his 3D tips and tricks during a 2 day chalk art workshop. The installation of the mural created plenty of interest, with many local characters dropping by to keep an eye on progress and chat with Council staff about the project. All the youth involved in the street art mural signed their names next to the artwork, proudly adding a little piece of history to their home town.